Our Holy Redeemer | Flickr - Photo Sharing! who by thy cross and precious blood hast redeemed us. Save us and help us, we humbly beseech Thee, O Lord. Amen." 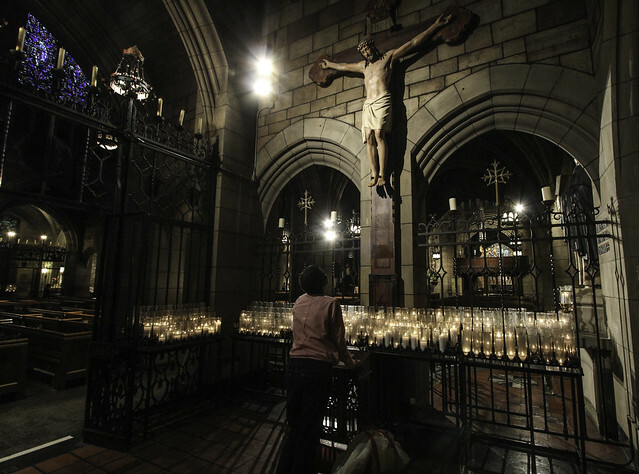 This crucifix is in a chapel of the Dominican priory church of St Vincent Ferrer in New York City. July is the month of the Precious Blood of Jesus. Stephen L D'Agostino, and 20 other people added this photo to their favorites.